I discovered your weblog site on google and check a number of of your early posts. Continue to maintain up the extremely excellent operate. I just further up your RSS feed to my MSN News Reader. Seeking forward to reading much more from you later on! You actually make it seem so easy with your presentation but I in finding this matter to be really something which I believe I would by no means understand. It sort of feels too complicated and extremely vast for me. I’m looking forward to your subsequent put up, I’ll attempt to get the grasp of it! We are a bunch of volunteers and starting a new scheme in our community. Your site provided us with useful info to work on. You’ve performed a formidable activity and our entire group will likely be grateful to you. Blog is very informative. 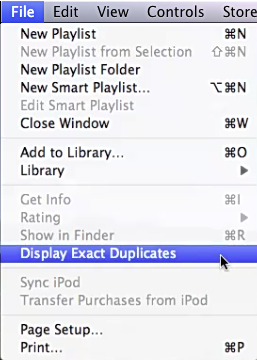 I have a large collection of songs in my iTunes and i tried to remove duplicate files from them but failed. I think this will help me now.